Ovenclean Blog | Do Self-Cleaning Ovens Need Cleaning? 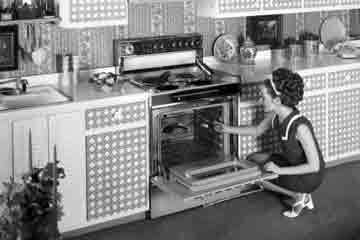 First introduced in the early 1960s, self-cleaning ovens work by heating up to very high temperatures (up to 500 °C / 900 °F) in an effort to turn dirt and grime to ash which can then be brushed away. 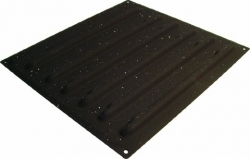 The internal panels of self-cleaning ovens are coated with a special type of enamel and are constructed especially to repel dirt and withstand occasional extreme temperatures. The idea of cleaning a self-cleaning oven, then, may sound a bit strange, but there are a number of reasons why a bit of elbow grease and a good old fashioned oven clean may be necessary. 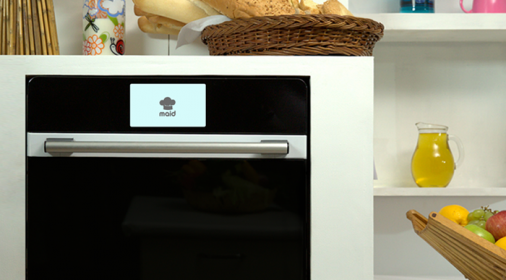 Even the best self-cleaning ovens do little to clean shelves, door glass, or behind fan coverings. 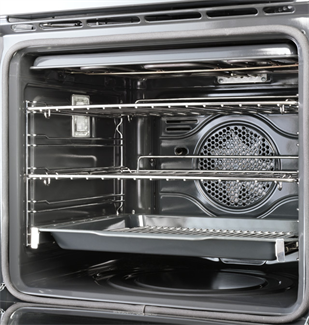 Many self-cleaning ovens also fail to reach the temperatures necessary to burn off a sufficient amount of dirt and grime, contributing to a less than satisfactory oven cleaning result. Worse still, all that trapped heat can simply end up popping fuses and damaging your oven’s internal electrical components. 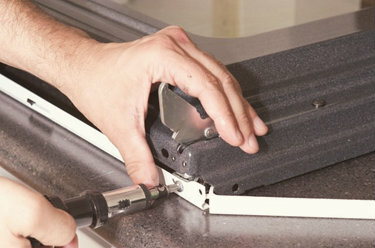 Many Ovenclean customers express how difficult it can be to clean their self-cleaning ovens themselves, as the panel linings ‘hide’ the majority of built-up grease and fat. Many are also not suitable for cleaning by hand using conventional oven cleaning products from the supermarket because they often contain caustic ingredients that can damage self-cleaning linings. So, in summary, yes self-cleaning ovens do still need cleaning – especially if you want to keep them looking ‘as good as new’! Ovenclean specialists are fully trained to clean self-cleaning ovens, and the range of Ovenclean products are specifically designed to cope with all oven types. 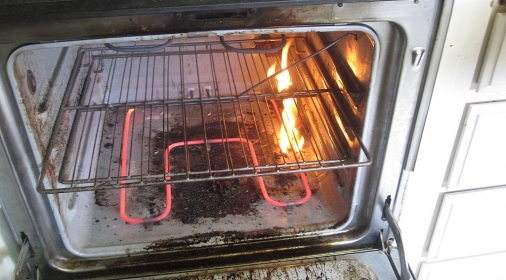 Your local Ovenclean specialist will be able to remove all fat, grease and carbon deposits that could otherwise pose a fire risk, particularly around the main heating element. If you need help tackling a tricky self-cleaning oven, call us on 0800 840 7127 or complete our online form for your free quote.